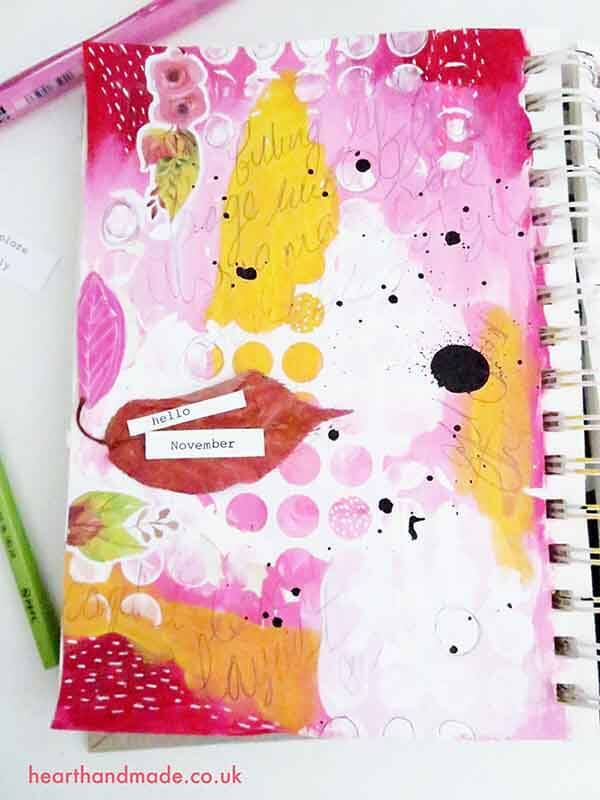 I absolutely LOVE art journaling! 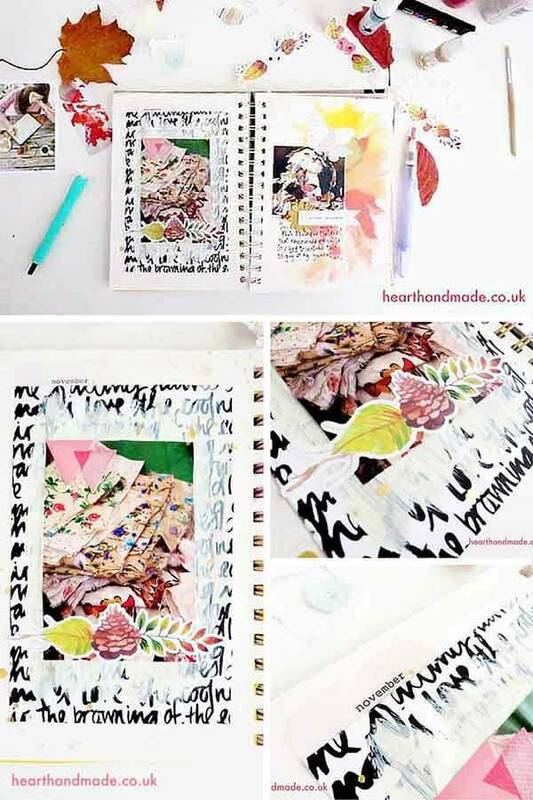 I’ve shared my origin story (like a superhero would) many times, I discovered the world of art journaling and mixed media when I was studying at college and one of our tasks was to alter our images using physical objects: paint, scoring etc. After feeling rather intrigued and a quick internet search I discovered and bought this book immediately. It was the perfect introduction into the mixed media world. 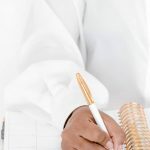 After more internet searching I discovered the many journalers on flickr, the blogs of Donna Downey and Heidi Swapp… I was in love! 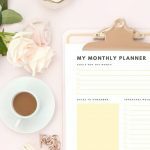 Now I want to share some of my most recent journal layouts, the simple little tips and tricks I’ve picked up along the way and a step by step layout! The little tips to make your life much easier will be scattered through the post, highlighted in bold. It’s a bit of a long one folks, buckle up! I like to journal with the seasons and work my colours around that. I don’t always use images. Clip art and script paper is from the fall bundle over at iHeartStudio with Wilna (I love her). The image was a magazine cutting that I had in my accordion folder of ephemera that I also divide by season but I will get to that! I printed my script paper onto my label paper and cut it to size, I used the edge of a blade of scissors to score/tear/distress the sides of the label paper. I then quickly painted some decoart craft paint over the background, because I painted the script paper on an inkjet printer and the paint is water based, the ink ran a little but it was fine. It was going to be covered by the photo. Make sure you use the correct adhesive. 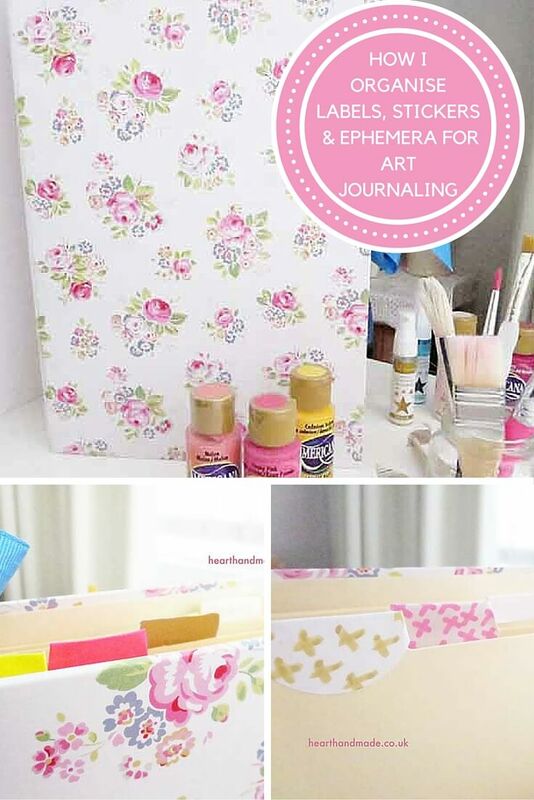 It will make your journaling process SO MUCH EASIER! My favourite thing to use is a glue runner but that can be expensive. 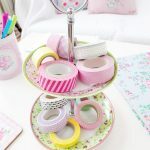 Use a slim roll of double-sided adhesive tape . It’s strong and usually acid-free so it won’t affect your journalism in the years to come. This little guy was so cute when I saw him, I had to print it out and journal about his wee face! This was a really simple layout. As you can see, it was created using paint, the sticker and the rest was stuck with glue and written over. 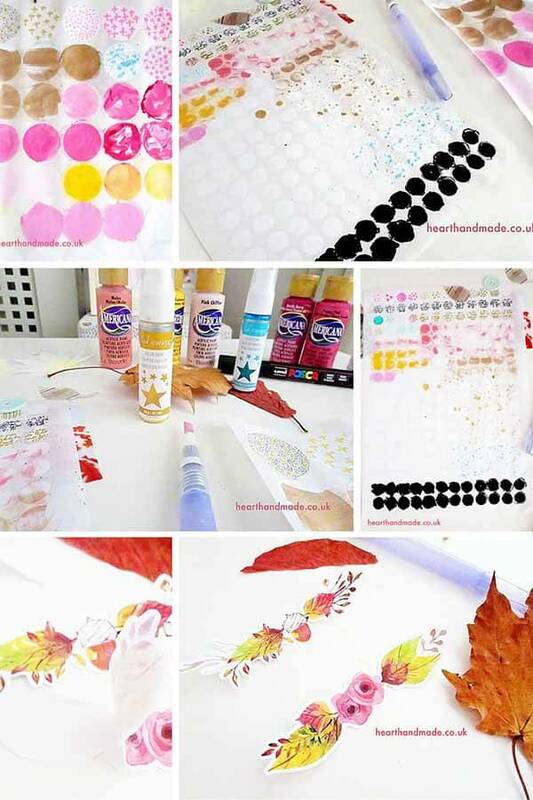 I used more decoart paints, gold round stickers and stickers from old Crate Paper Collections. Get some round white labels in 13mm circles and 25mm circles… then possibilities are endless. I like to leave these sheets lying around when I’m painting as it’s a lot of fun to clean the brushes (of excess paint) and create random patterns over the circles. I also like to spray them or write script… they’re great for using in planners too! I’ve coloured black labels for another layout, I then coloured some of the 19mm circles in gold for a layout below. 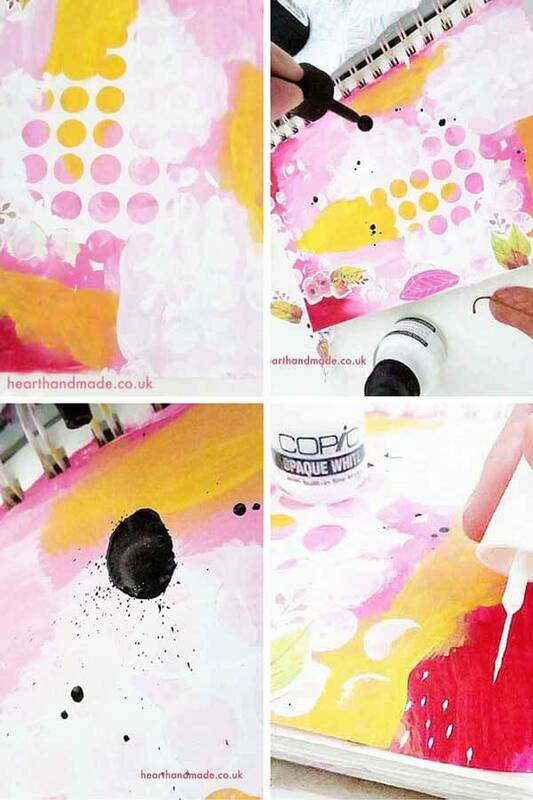 This will be Step By Step after the painted layer has gone down on your page. I was inspired by Nancie Rowe Janitz for the beginnings of this page. The second page you can see, was me cleaning my brush between the darker and lighter colours used on the previous page. I ripped the outside of my sticker paper off and laid it over the paint, to use as a stencil. If you haven’t already, invest in some Decoart gesso . Add gesso in random places. When the gesso is dry, remove the sticker paper. I should have used a hair dryer to dry my gesso then the following mistake wouldn’t have happened (first image in next collage). Some of the sticker remained! Oh well, it adds to the page. I added some random stickers across the page. I highly recommend using stickers, you can always buy and print out clip art from Etsy or CreativeMarket. EMBRACE YOUR MISTAKES! Love them and work with them. You should enjoy the process. Invest in two pots of ink, one in white and one in black . It adds a great visual effect and you can use it a lot. The bottle I use has a little build in pipette so I was able to use the pipette while sploshing ink everywhere. I think you should use a more opaque ink that I own to make marks in all the dark sections of the layout. 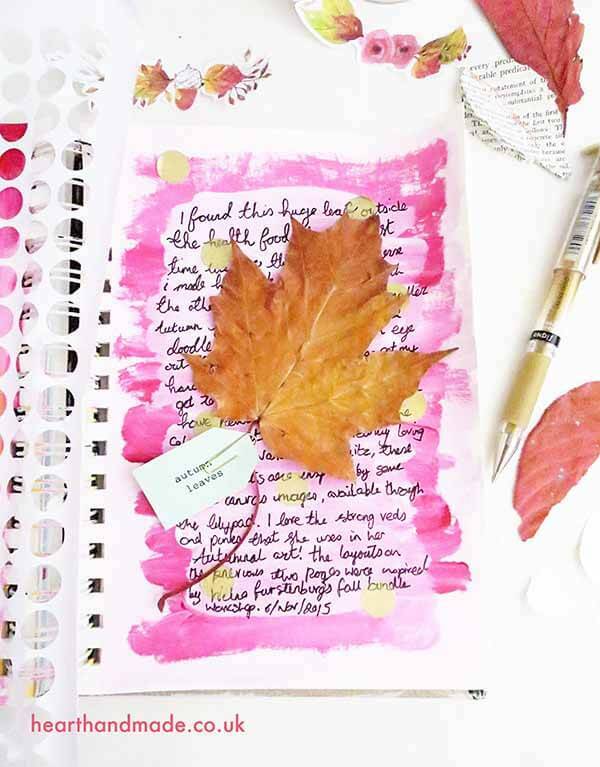 I used double sided tape to adhere the autumn leaf to the page and the paper on top, then I went a little crazy with some pencil scribbles all over the place! I used some of the little white round stickers that I had painted gold and wrote all over the page. Lots of random nonsense! Then more double sided tape with the big leaf and I added a layer of mod podge to the leave to protect it. That wee lion gets me everytime. One Cath Kidston Accordion folder (larger than a4 and very deep), I added the colour of the stickers I’m organising and then my other dividers are done by season and also by occasion. There is plenty of space in that folder and it makes life SO MUCH EASIER having it all together! 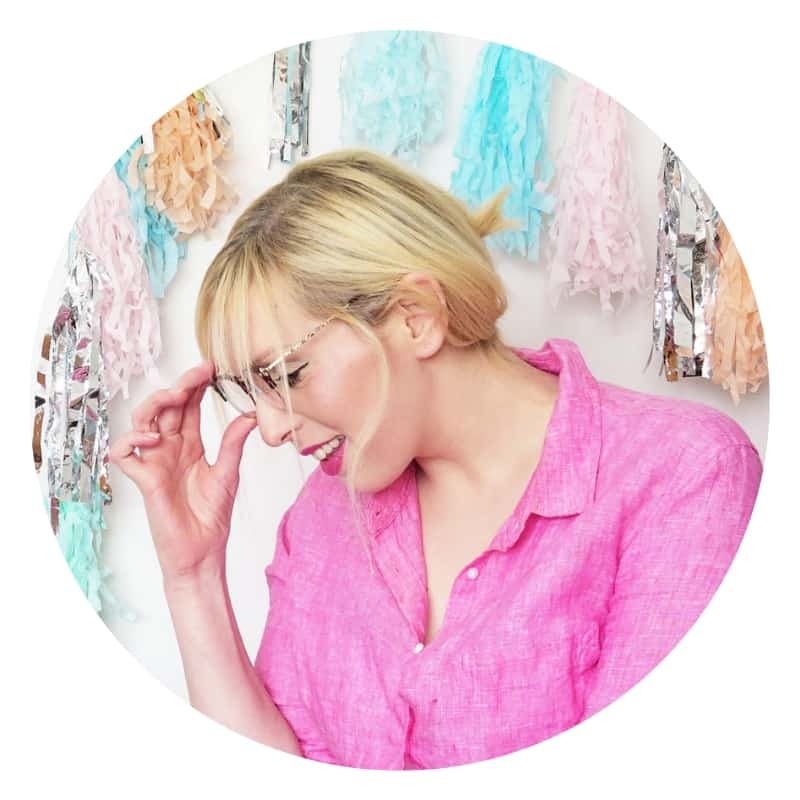 I hope you enjoyed today’s post! 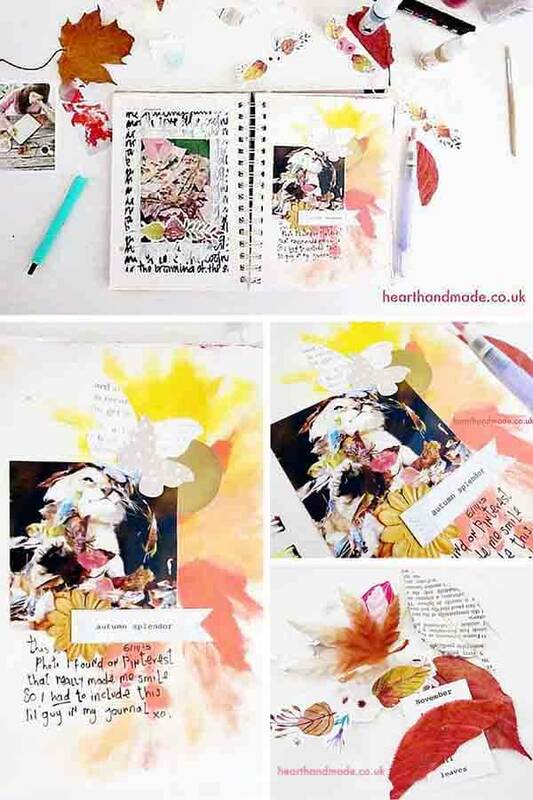 Are you Art Journal Lovers? Should I share my journals a bit more? This is just the post I needed! 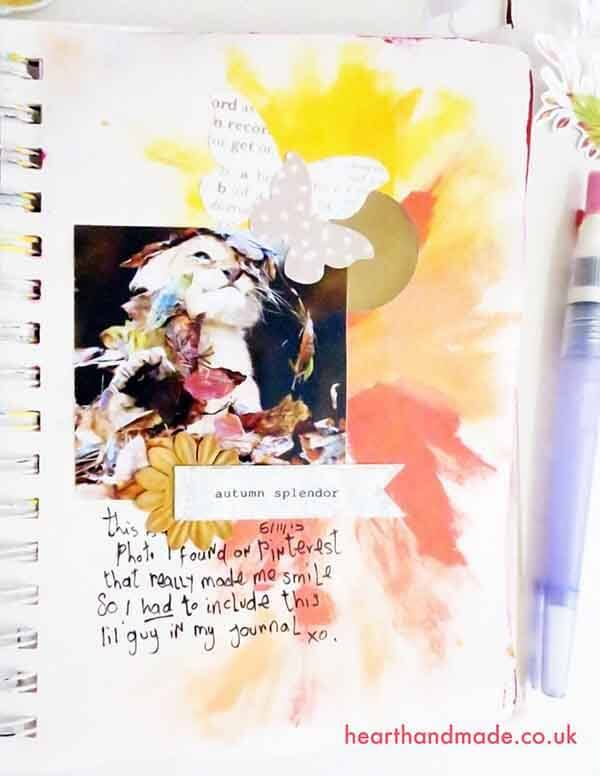 I’ve been wanting to try art journaling, but I had no idea how people make those amazing pages! 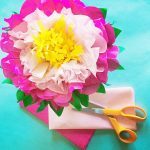 These are some great tips – especially using sticker paper! I wouldn’t have thought of that. 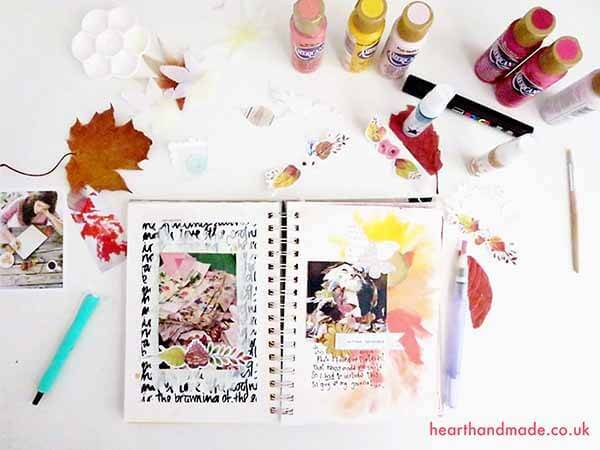 I’ll be using these ideas as I try art journaling! I love what you’ve done! I picked up an old book at the Half Price book store to make an Art Journal. But just haven’t done it yet. I’ve never done one before so just really was sure what I wanted to do. I really should get started, I think they are so neat. Thanks for sharing your tips! Pinning! 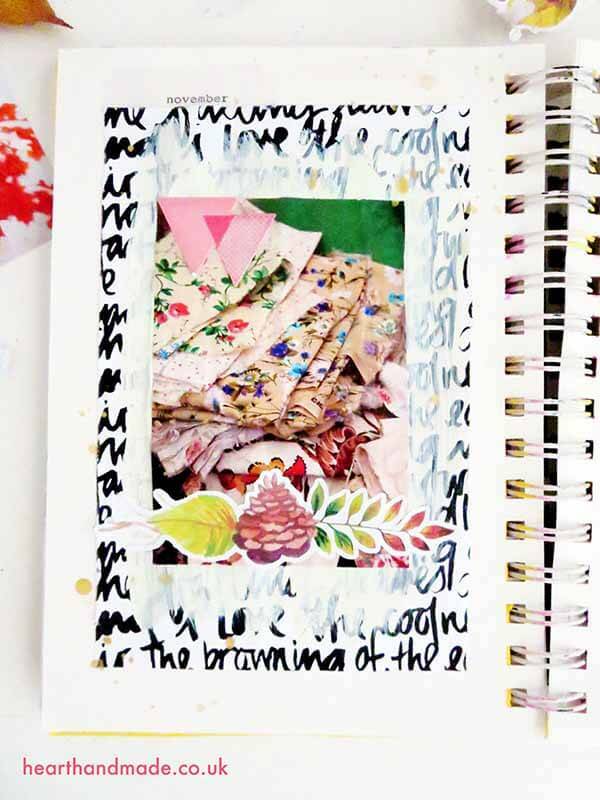 your art journaling post are my fave claire! 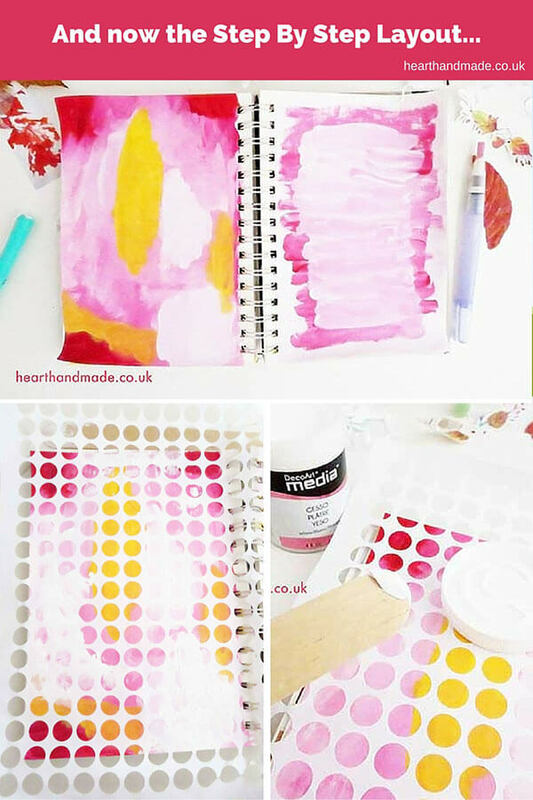 you had some great tips too, like i hadn’t thought of the self adhesive circles & you just painted over them voila.